What is the Distillery Gervin? “Gervin is a book that was started in 1976 by my father, Germain. A kind of book of spells, filled with a love of products, quality and savoir-faire… pleasure! With qualifications in hotel management and marketing under my belt, I joined the family firm in 2002. 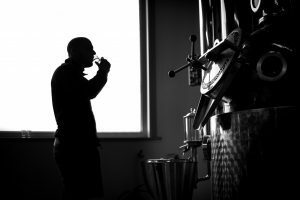 Six years later, making the most of the boost provided by our new premises in Baugnies, I wanted to start a new chapter and give the distillery another push. Both a well-deserved tribute to my father and an ode to audacity and innovation, the Distillerie Gervin’s reputation has now been built on a really diverse range of spirits, liqueurs and aperitifs. Gervin is above a family company wich listens to the demands and expectations of its customers. Our primary concern has Always been to maintain the consistency of our products and to ensure that the costumer can Always count on the same level of knowledge and expertise. 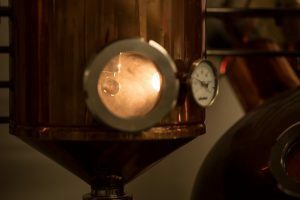 The challenge for Gervin in the coming years is to become an established nam in distillation while maintaining its family character and artisan style of production. To ensure that our costumers appreciate our way of working and discover a little more about Gervin products by visiting our new distillery. It is in the spirit of these 4 guiding values that Gervin will continue to exist and serve you.